System-wide notifications can be found in the upper right-hand corner of the screen. When you receive a new notification, the icon will turn red and the badge count will increase. Clicking on the icon will show a list of either read or unread notifications. You can also order the notifications on screen by date updated, date created, or Level. You can view additional messages by clicking on PREV or NEXT. Notification are separated into four different levels: success, warning, error, and info. Hovering over a notification allows you to either See more details by expanding the message or Mark as read. 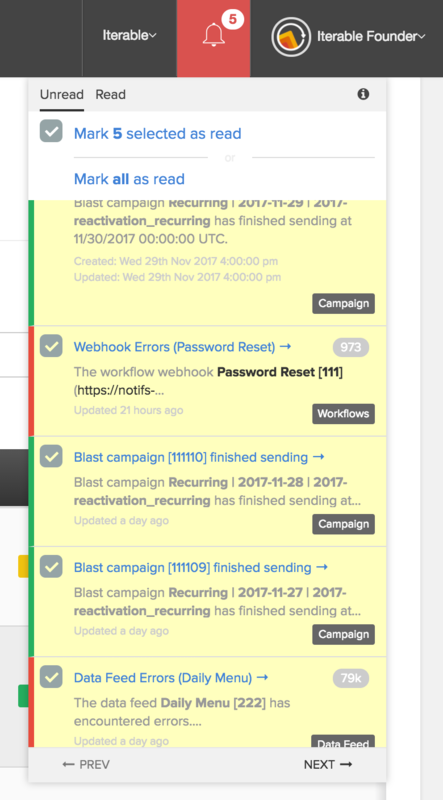 Clicking on the checkbox in the upper left-hand corner allows you to select multiple notifications to be marked as read. To move all messages to the Read tab and clear the badge count, click on Mark all as read. 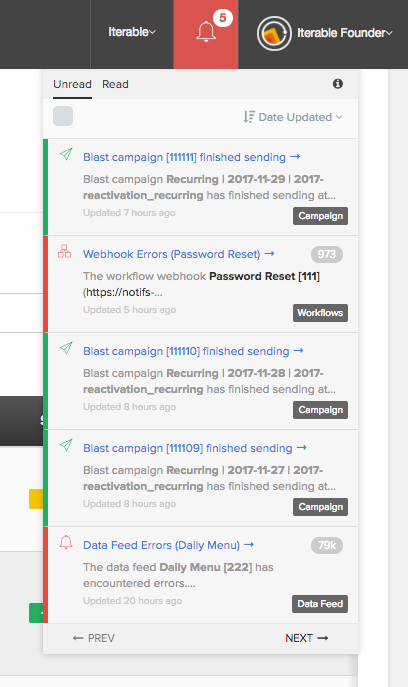 Clicking on the title will link you to the affected campaign, list or page, where you can view and make updates if necessary.